Luke's Gospel in a quirky, accessible, doodle style, perfect for 8-11 year olds. Diary of a disciple: Luke's story is a contemporary retelling of Luke's Gospel. 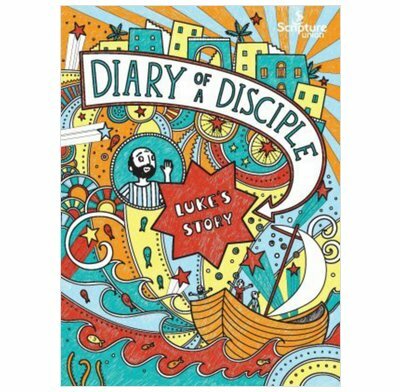 Written in a quirky, accessible, doodle style, Diary of a disciple offers a way into the Bible for 8-11 year olds. It encourages children to interact with the stories they read, offering space for them to write/draw in the book alongside the main text.